I happened to stumble across some antenna projects showing common mode chokes 1:1 baluns made of some turns of coax wound on T200-2 iron powder toroids. 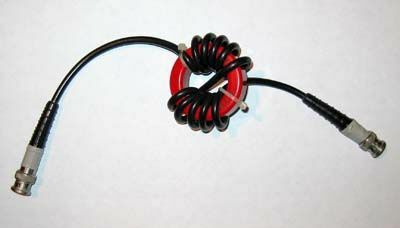 A choke BALUN works by letting through the differential current and by hindering the common mode one by opposing some impedance. 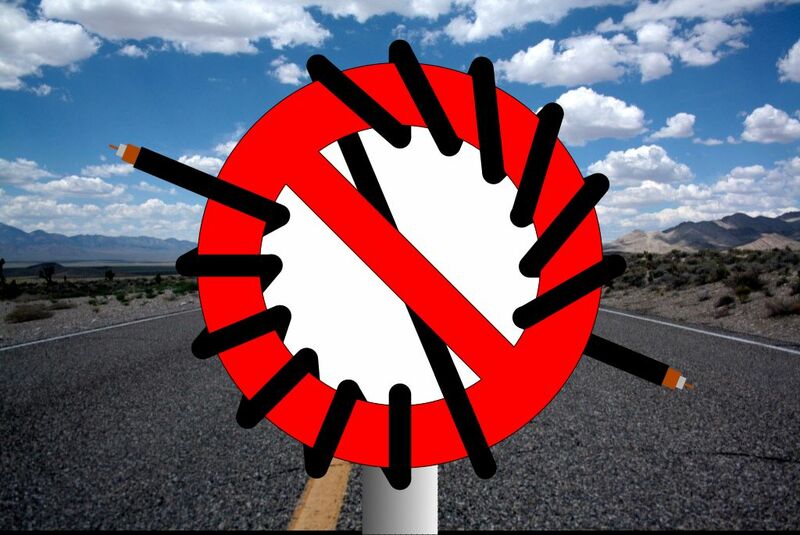 The key value showing chokes merit is the CMRR, or Common Mode Rejection Ratio. This value is the ratio of common mode gain over differential mode gain. In other words, CMRR is the attenuation of common mode currents in dB minus the insertion loss in dB. 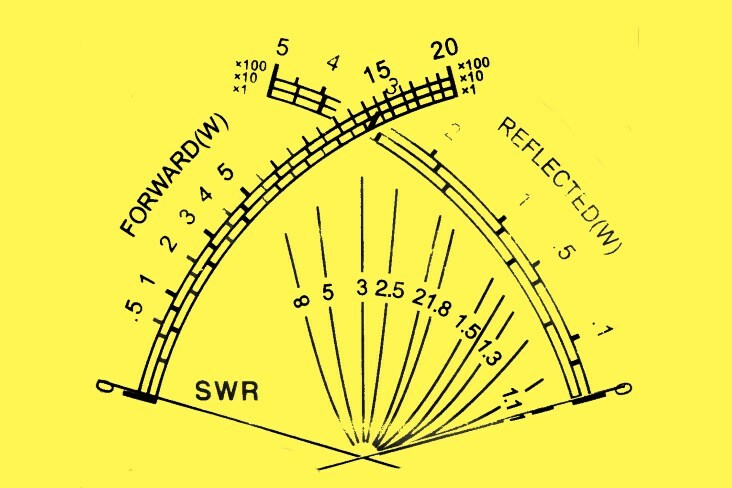 The latest is usually negligible in this kind of BALUNs on short waves.An article by Ron W6WO appeared on QEX 11/12-2010 estimates that CMRR should be at least -20dB on the whole range of interest, -30dB on narrow band BALUNs. 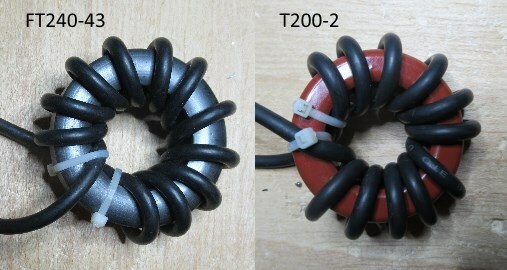 In order to evaluate the choking characteristics of the “red” toroids, I prepared two chokes by winding 12 coils of RG-58 on a iron powder T200-2 toroid and a ferrite FT240-43 one. 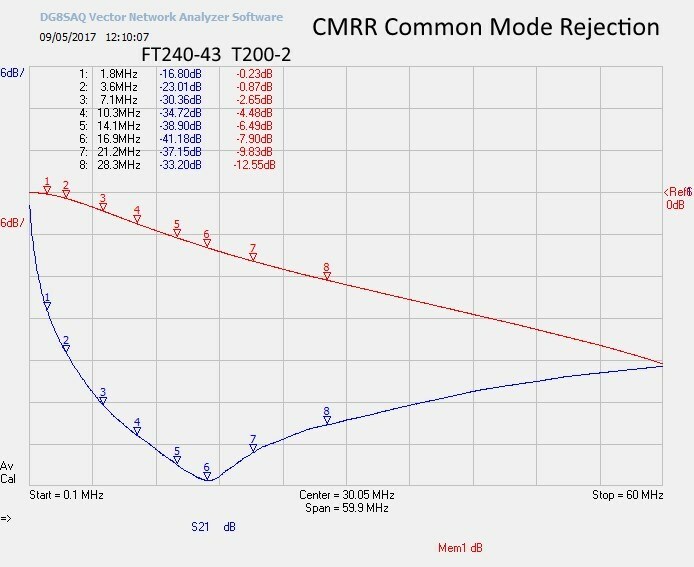 As we can see, the CMRR of the T200-2 is well below the -20dB lower limit set by W6WO, becoming negligible in most bands. On the other side, the CMRR of the choke on the FT240-43 ferrite is very good on a wide range of frequencies. Our valuable friend Steve G3TXQ, to whom I send my sincere wish for a speedy recovery, published on his website a famous analysis of several types of chokes. 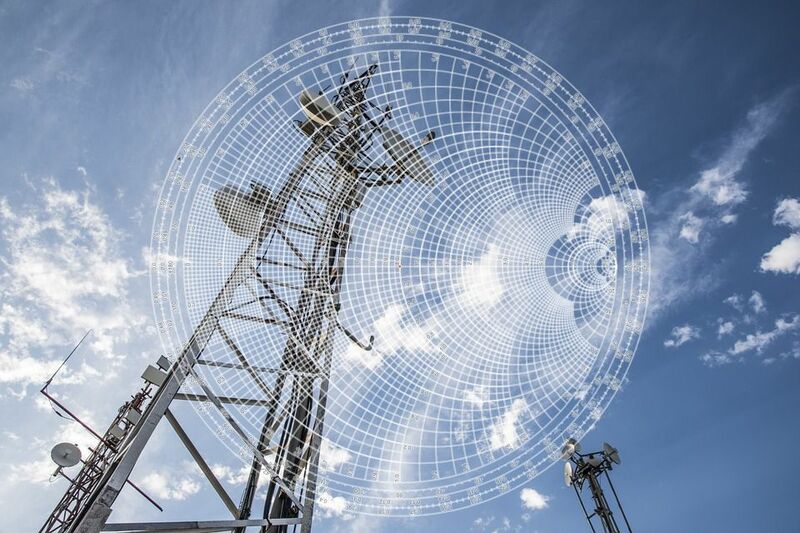 He determined the quality of a choke BALUN by considering its common mode impedance |Z|. Values below 500Ω are not considered “choking” at all, values between 500Ω and 1000Ω are marked in red as “very poor”, while the “green area” starts at 4000Ω. 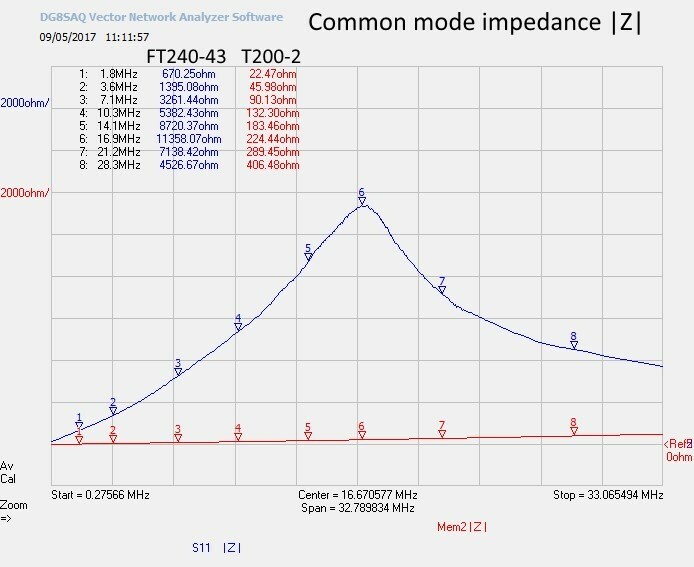 In the 1.8 to 30MHz range, the choke made of the T200-2 never goes even close to the 500Ω barrier: in G3TXQ table would not even appear (and in fact it doesn’t list any iron powder choke). The conclusion is quite evident: don’t make short wave chokes with iron powder toroids! I like to make my own baluns and ununs and this really helps!